A gentle ear cleansing liquid that removes dirt and debris from the ear canal, dissolves wax buildup and deodorizes the ears. 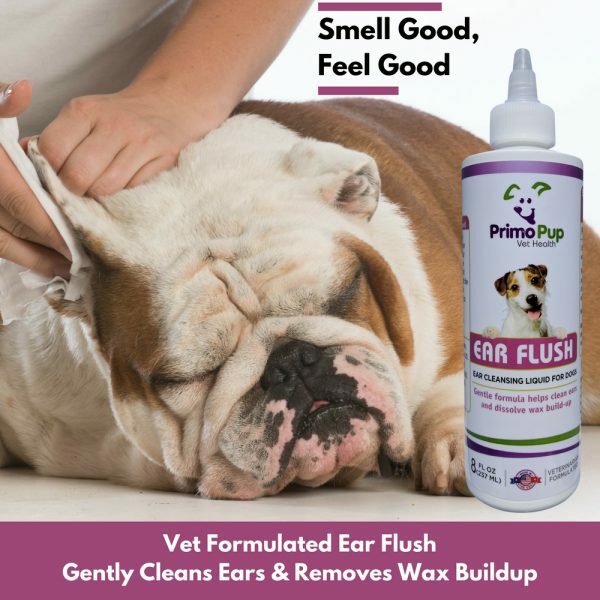 Regular use helps to keep ears clean and healthy and reduces the risk of irritation. 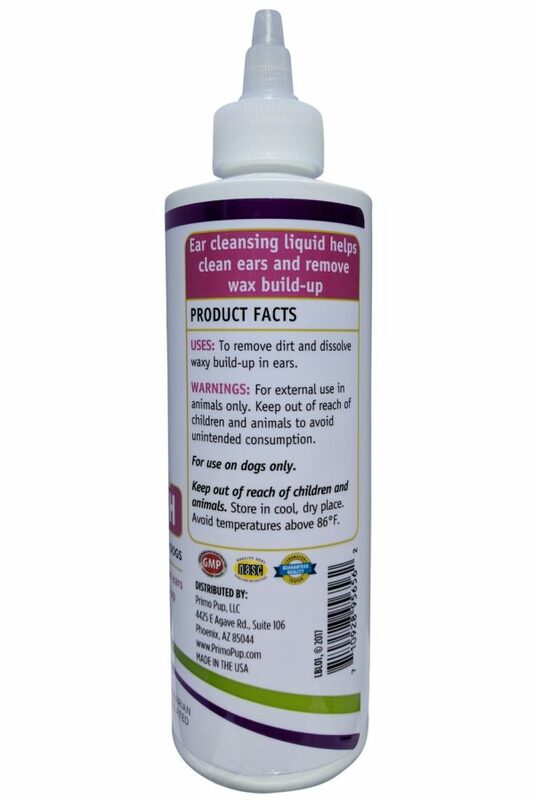 Apply generously to the ear. 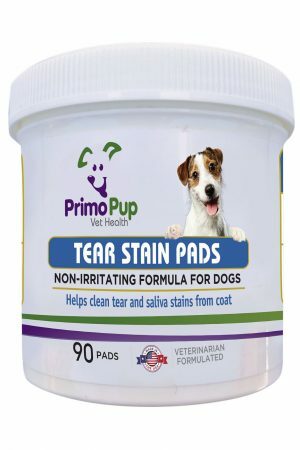 Gently rub ear with a Primo Pup Vet Health Ear Cleanse Pad or cotton pad. 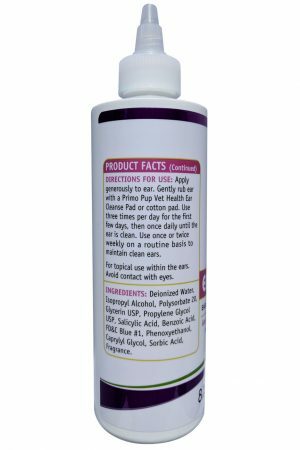 Use three times per day for the first few days, then once daily until the ear is clean. 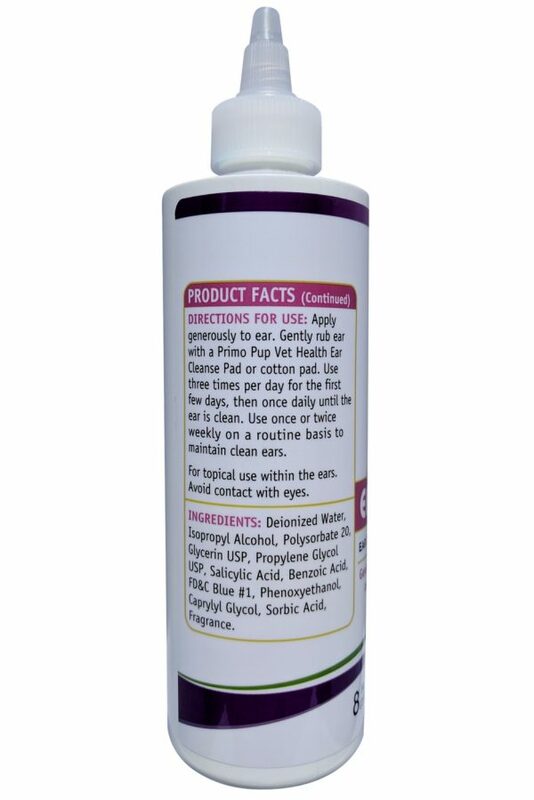 Use once or twice weekly on a routine basis to maintain clean ears. 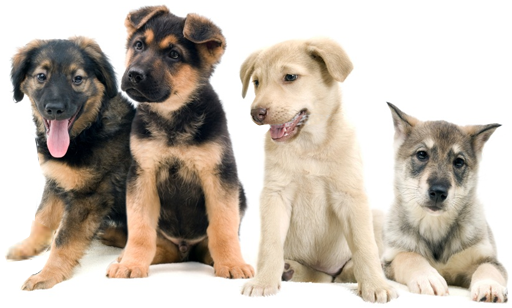 For topical use within the ears. Avoid contact with eyes. 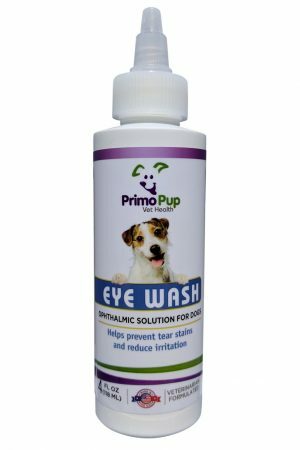 Deionized Water, Isopropyl Alcohol, Polysorbate 20, Glycerin USP, Propylene Glycol USP, Salicic Acid, Benzoic Acid, FD&C Blue #1, Phenoxyethanol, Caprylyl Glycol, Sorbic Acid, Fragrance. I have a pit bull. Usually I clean her ears weekly. This cleaner is very effective and it doesn’t seem to bother her. Other products she will try to prevent me, but not with this one. Very pleased. 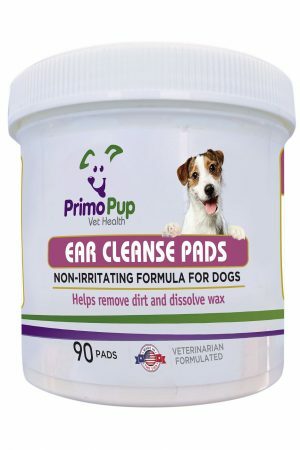 Purchased Primo Pup Ear Flush for the first time, several weeks ago. I wanted to use the product for a few weeks to see how well it works. I have a CocaPoo with the long ears and she tends towards ear problems. 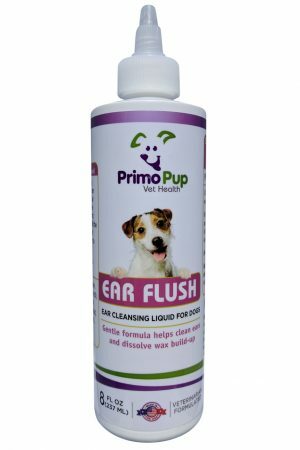 I use Primo Pup Ear Flush once a week and her ears are just great. 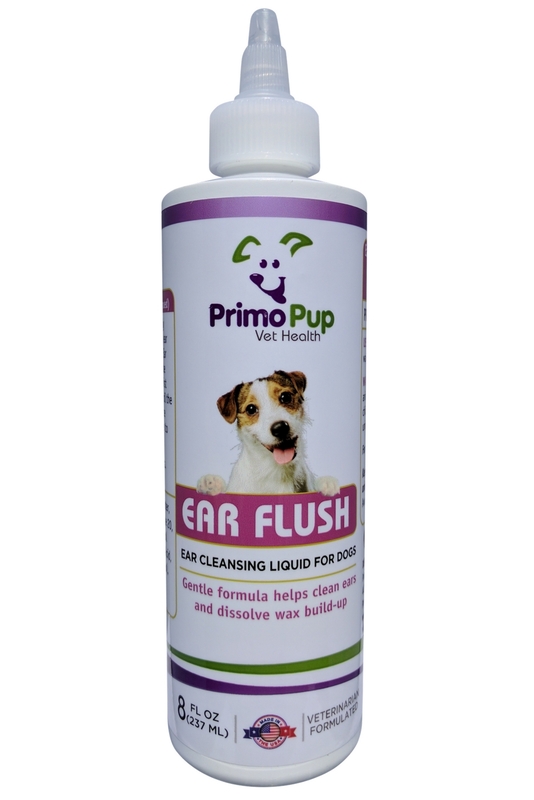 If your pooch needs ear flush, give Primo Pup Ear Flush a try. Very satisfied.